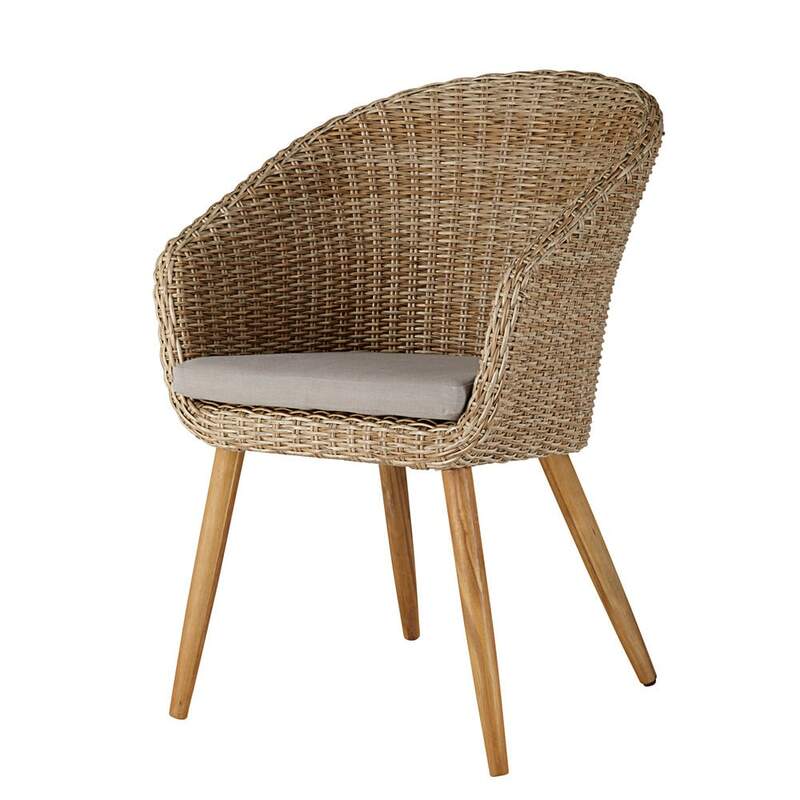 Inspired by Nordic design, the KUTA resin wicker garden chair combines elegance and lightness due to its oblique legs and airy weave. 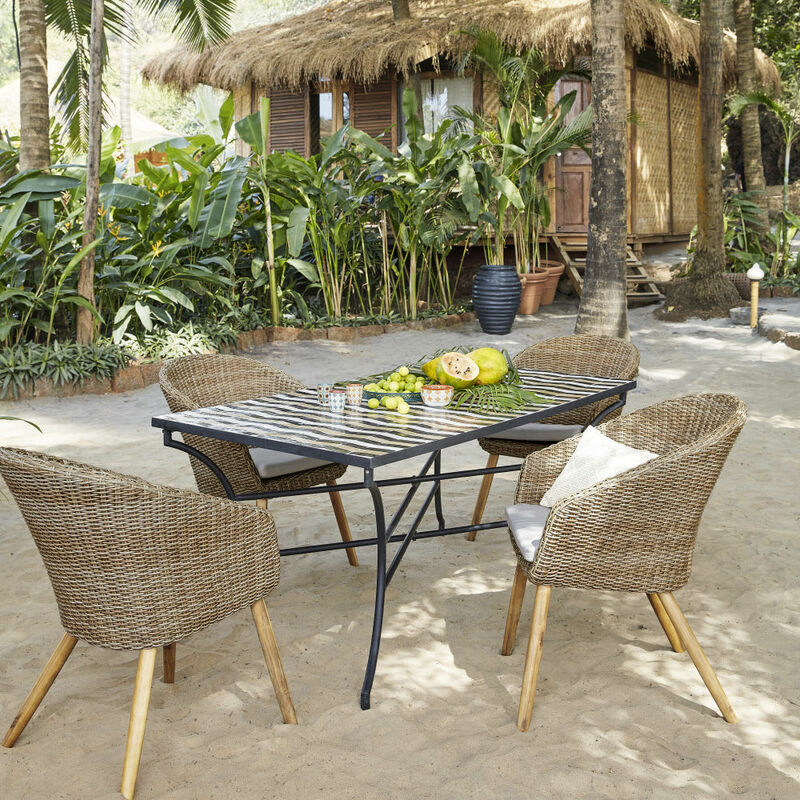 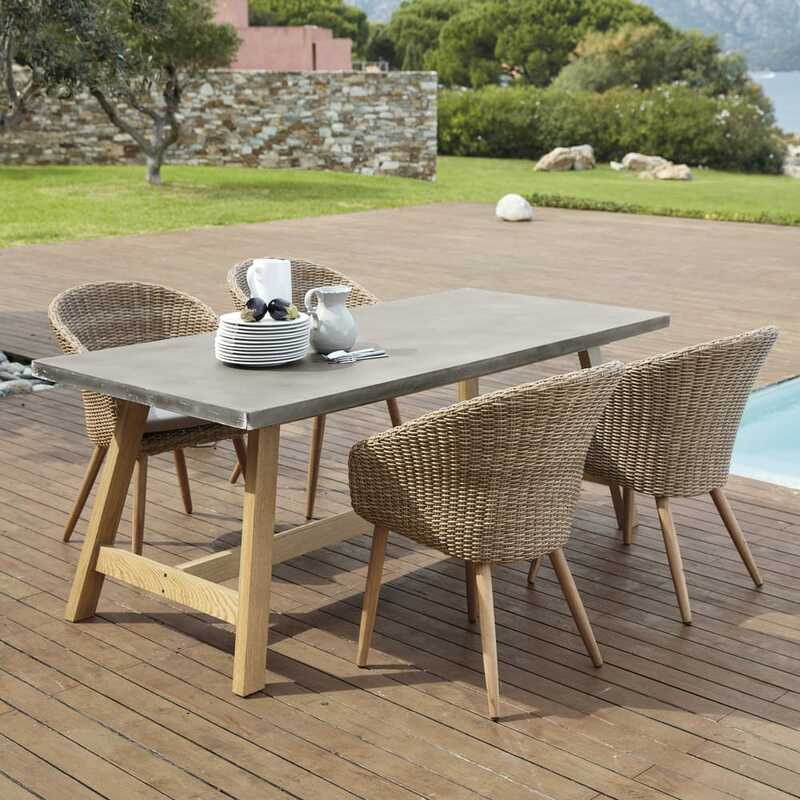 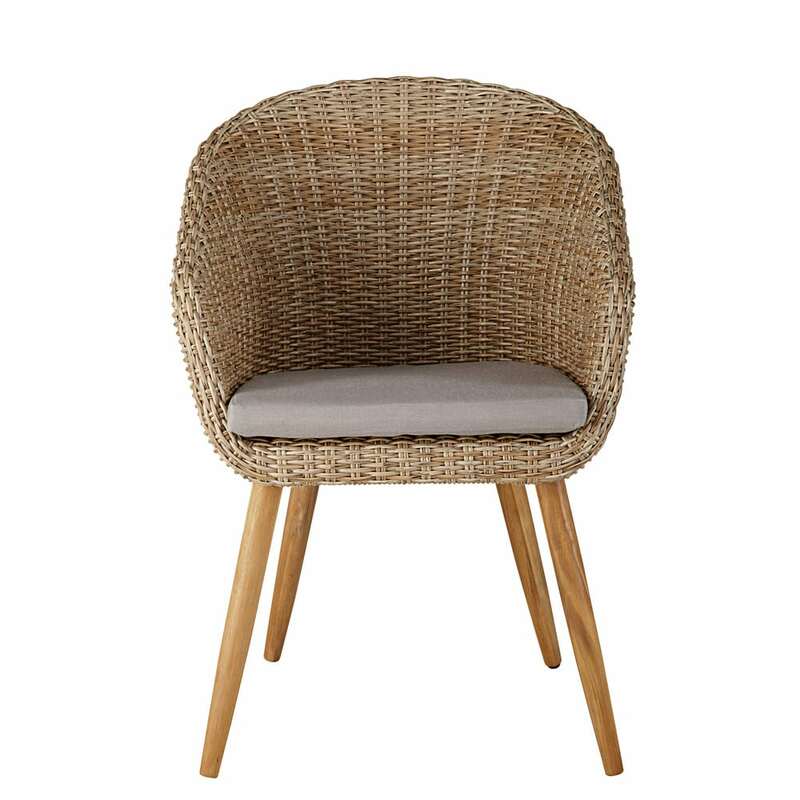 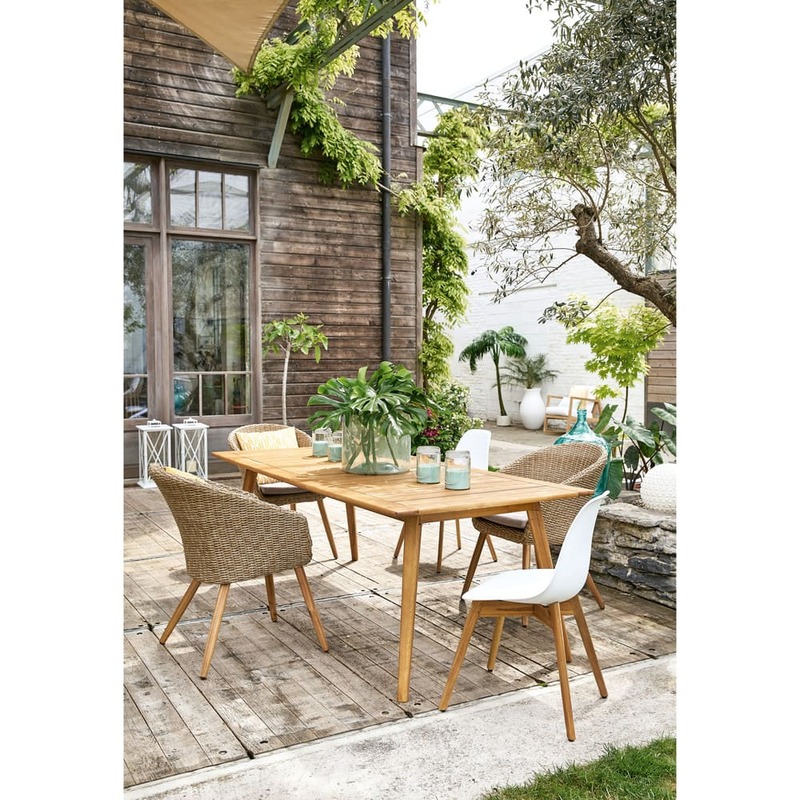 Made from solid acacia wood and natural-coloured resin wicker, this round chair will add character to your patio without spoiling your garden. 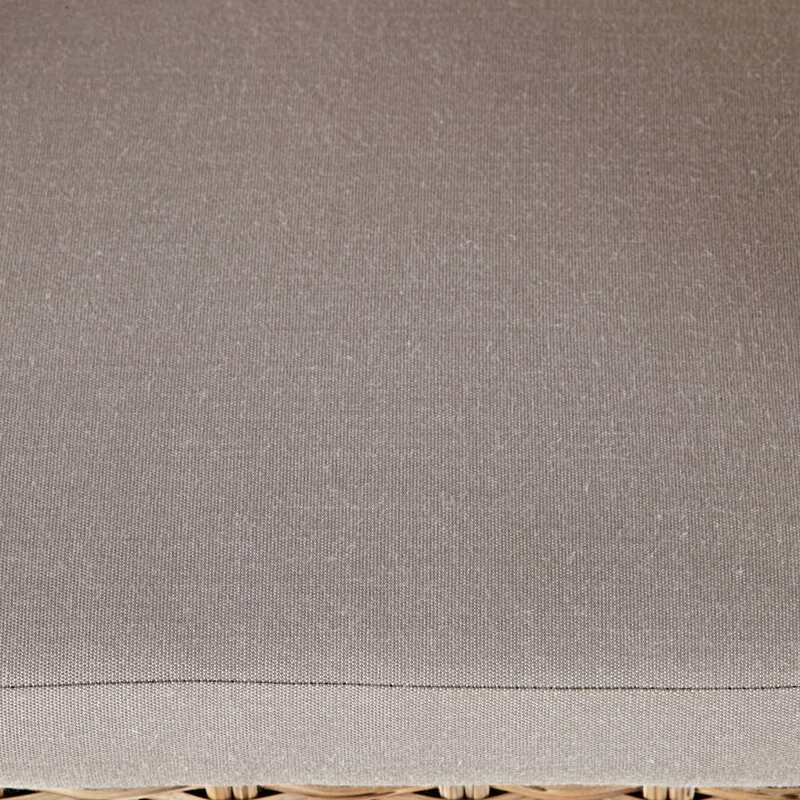 Its taupe seat colour, designed with a removable water-repellent canvas cover, is easy to wash for good wear over time. 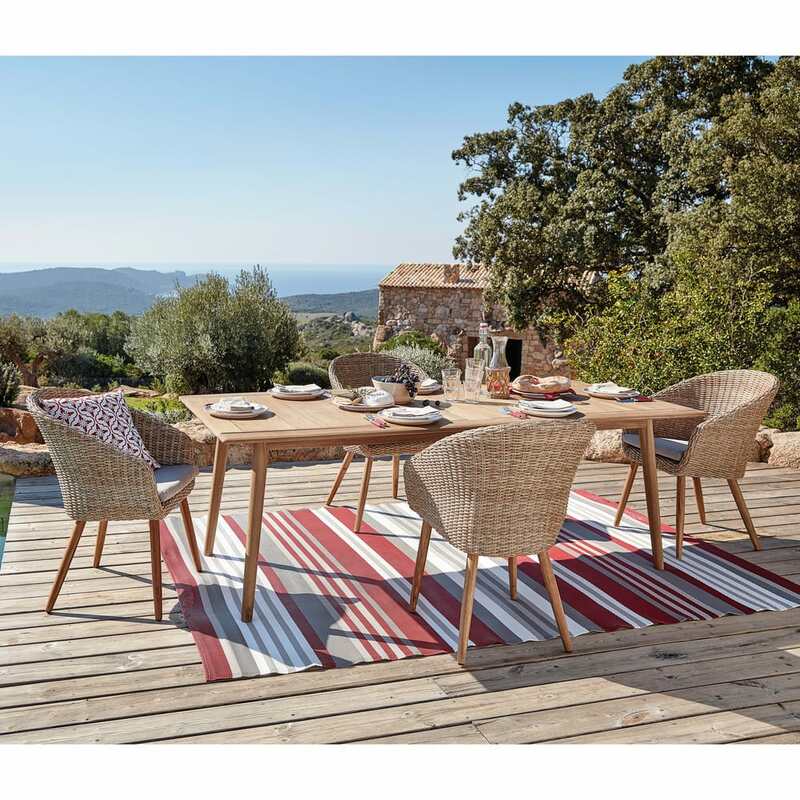 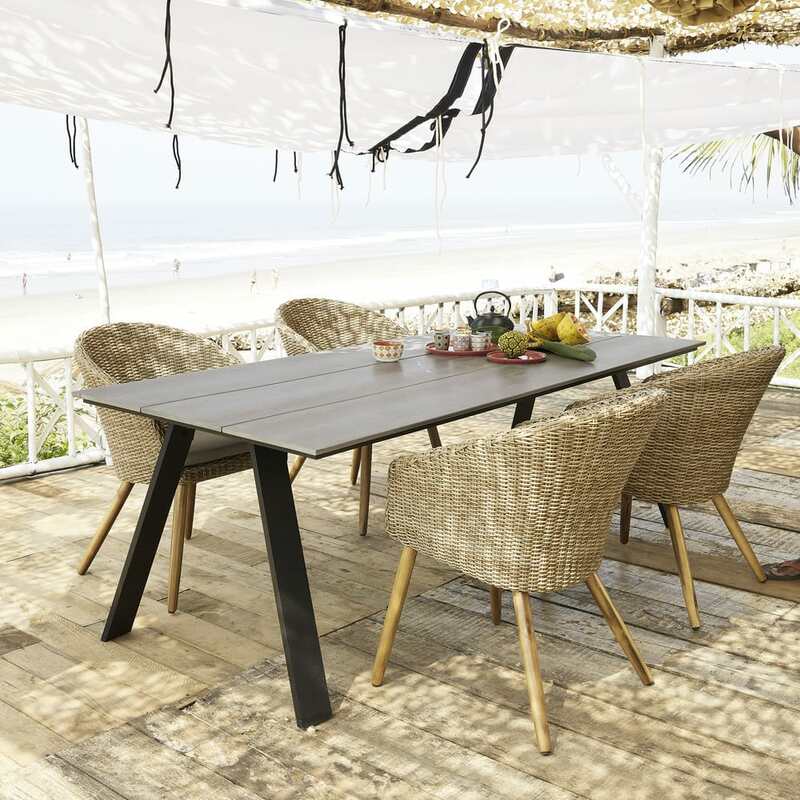 Be daring and adopt colour with an outdoor rug which will give your patio set a boost. 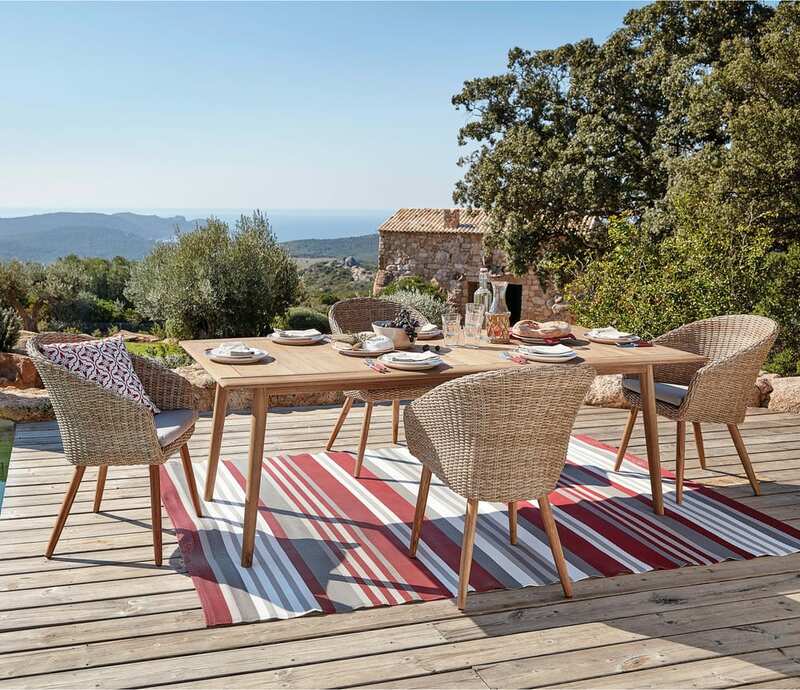 The FSC logo identifies products containing wood from a responsibly-managed forest, certified to Forest Stewardship Council standards.